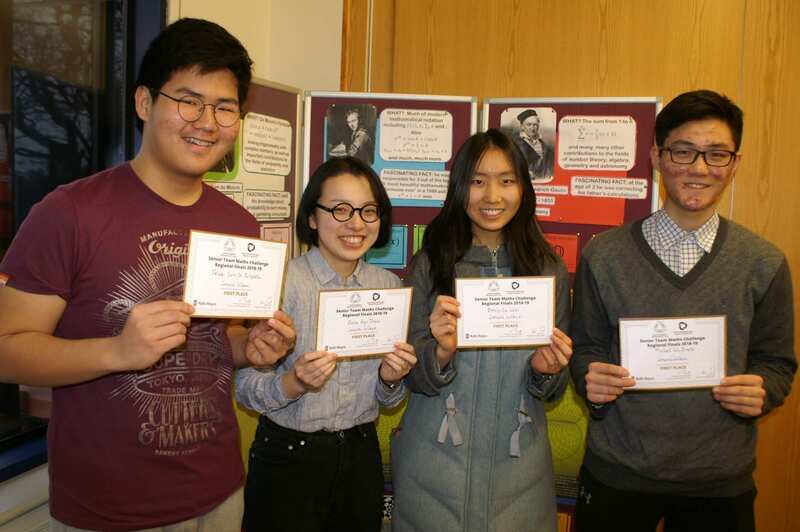 Four of Concord’s most talented mathematicians are through to the national final of the prestigious Senior Team Maths Challenge (STMC). The team of sixthformers, Olivia, Felix, Michael, and Emily won their regional heat at Keele Hall against 10 other teams. As a result, the team is through to the final of the STMC in February at Linley Hall, part of the Royal Horticultural Halls, in London. The final, in which Concord has previously come third, consists of five rounds which will see them compete against over 80 teams from schools nationwide. Said Concord’s Head of Mathematics, Dr Tom Phoenix: “This is one of the most prestigious and difficult mathematical competitions for A level maths students in the country. The aim is to stimulate mathematical problem-solving. “The questions in the regional heat were very challenging requiring collaborative accuracy of the Concord team’s mathematical abilities. “The team worked very well together to check each other’s work and whereas maths can often be a solitary pursuit, team work was essential to our success." Fellow Concord Mathematics teacher, Mr Wes Briscoe added: “It required them to work accurately in quick time and the team was expertly captained by Olivia who led by example with her calm, cool and collected approach. “I would say we will be attending the final in London with a realistic chance of doing very well.” Said Olivia: “It is fantastic to reach the final again – there is certain to be time pressure for the questions and some top schools in attendance.” Said Michael: “The most challenging questions were in the later part of the regional heat, which required a lot of team work and much more time.” One of the rounds in the final will require the students to actively run around answering maths questions. Ahead of the final, the students will be undertaking further training, both independently under the careful guidance of Olivia, as well as with Maths teachers Mr Wes Briscoe, Mrs Kelly Arthur and Mrs Phoebe Jesshope.